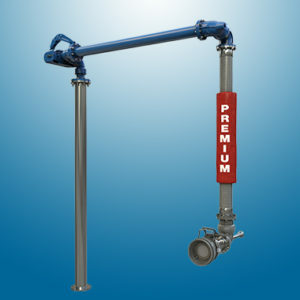 OPW SRH Bottom Loading Arms allow simultaneous connecting and filling of up to three product lines. Similar to counterweighted hose loaders, SRH loaders are generally stored horizontal and only slight upward or downward movement is required to align the coupler with the tank truck adaptor. A proven performer in oil terminals around the world, the SRH sets the standard for cost-effective, low-maintenance and user-friendly operation.